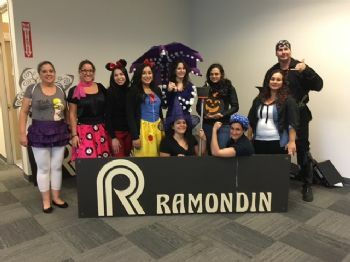 This is from our office Halloween party. I am on the far left. Still recovering from another nasty sinus infection. I got in a walk with hubby yesterday. Did my fastest time in awhile - a 17 minute mile. Not great, but I'll take it. I have a small request. I am updating my professional blog and I would love your advice. If you could click through to the survey and let me know what you think I can improve,I would appreciate it. If you haven't visited before, please click around the blog a little bit before you take the survey, so you can give an informed opinion. Those who take the survey and leave an email address will be entered for the chance to win a $25 Amazon gift card courtesy of me!! I think a 17 minute mile is fantastic! I'm a plodder, always have been. Speed is not my forte, but I can go forever at a very slow pace. Nice picture! A 17 minute mile is great. I always enjoy visiting your blog but hadn't been there in a while. Just checked out your most recent posts and did the survey. Glad you're getting over that nasty infection, and personally, I think a 17-minute mile is reason to be proud. On my better days, I do a 20-minute one so you're way ahead of me, lol. I filled out the survey but didn't leave my email address because there was no "we will not sell your address" kind of message (it's not that I think you will sell it, but the survey service could). Good luck with your blog! It really seems so heartfelt, which is a surprisingly rare thing in blogs!